Are you looking for different options to preserve certain types of foods? Canning is a great option, but the process requires a lot of glass jars you might not have set aside for this purpose. Dehydrating is another option that is not hard to do. 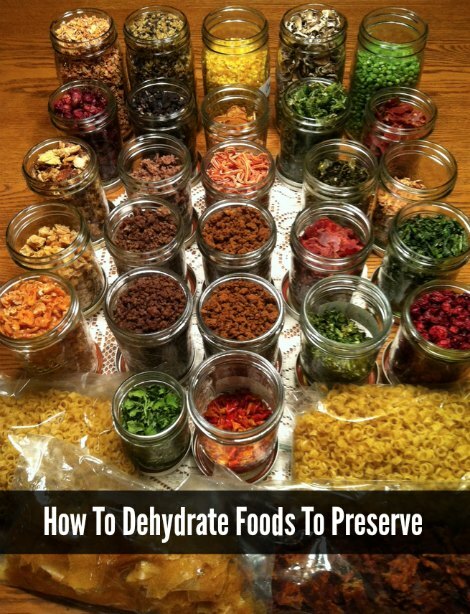 You can easily dehydrate foods to preserve using a variety of methods. The method you use to dehydrate foods to preserve depends what you have available. You can dry a lot of food by leaving it out in the sun if the weather conditions are right. The temperature and humidity that is in the air will be the two most important factors. One of the easiest ways to dehydrate foods to preserve is to use a dehydrator. This is what you are likely to use when you want to make homemade jerky. All you need to do is decide on the foods to dry and then set the dehydrator to the proper settings.